U.S. Guidry Group is to build a billion dollar deep-sea port near the eastern town of Susah (Photo: Guidry Group). U.S. based company, the Guidry Group, is to build a billion-dollar-plus deep-sea port near the eastern Libyan town of Susah. 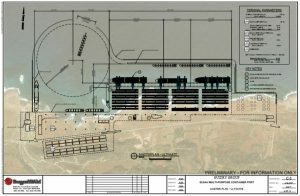 The multi-purpose container port and logistics hub would be the largest deep-sea port in the region and is projected to handle 1 million TEU’s in phase one. The company said that the goal of the port is to ‘‘stimulate business, help end terrorism, and reinforce elements of a successful country to assist in reviving war-torn Libya.’’ It added that the port project will ‘‘improve the human condition, breathe economic life into the region, and help position Libya as a major economic gateway for North Africa trade and commerce’’. The Guidry Group was given permission by Libya’s Ministry of Transport to conduct a study of the port in Susah as far back as 2012. The study was conducted in 2013 and in 2015, the Guidry Group competed for the right to build the port with another 8 international companies – which it won. It completed its feasibility study of the project in 2017 and last month it publicized its general plans. In March this year the project was named among the Top 100 Critical Infrastructure Projects of the Year at the 11th Global Infrastructure Forum held in Montreal, Canada, and was a finalist for Project of the Year. Speaking exclusively to Libya Herald by phone from the U.S. yesterday, Michael Guidry, founder and CEO of The Guidry Group, said ‘‘I fell in love with it’’ when asked why Libya? ‘‘Libya is ripe for business and investment right now. I do not want the Chinese or the Russians in Libya first!’’, he said mischievously. ‘’I want to get a foothold in there now’’ before it’s too late. Asked why other companies, including those who had already worked there before, are still reluctant to invest in or return to Libya, Guidry said that it was probably because they had lost some money as a result of the 2011 revolution. Guidry was confident that he would be able to attract enough investors to the project which he hoped would be mostly American capital – but welcomed European capital too. However, where other foreign investors, including the Europeans saw risk in Libya, Guidry saw business opportunity. With regards to working in the east of Libya while the internationally recognized government was based in Tripoli, Guidry saw no problem. ‘‘The Libyan people have been very kind to me. I am hoping to get the east and west to agree that this is an infrastructure project serving the whole of Libya’’. Guidry accepted that most potential investors are concerned about security and mitigating risk in Libya. This includes most other companies that have worked in Libya before. He puts their lower risk threshold down to their structure and maybe ownership. ‘‘We are going to create the security for the project. We have already had our engineers in Libya. The east right now seems to have relatively good security’’. Asked if he thought his company’s security blueprint can be replicated by other international companies for other projects in Libya, he replied emphatically, ‘‘I know so’’. With regards to politics and security in Libya, Guidry was of the firm belief that getting business and the economy moving in the country would have a huge positive affect on the environment. ‘‘Big business can solve some of the problems. I would like to see Libyans working together’’, he explained. Examining the rationale and business case for a brand-new port in Libya and another major port in the Mediterranean, Guidry was adamant that his project is justified and will be a major regional infrastructural success. He believes demand is strong for highly efficient automated container-handling service in the region. He also sees the Mediterranean as a crucial east-west and north-east container trade route. Mediterranean port growth is forecast to be between 4-5 percent per annum for the coming years. Guidry explained that first, Susah has what is considered a deep-sea port. Secondly, it is closer to the main flow of Mediterranean shipping traffic. 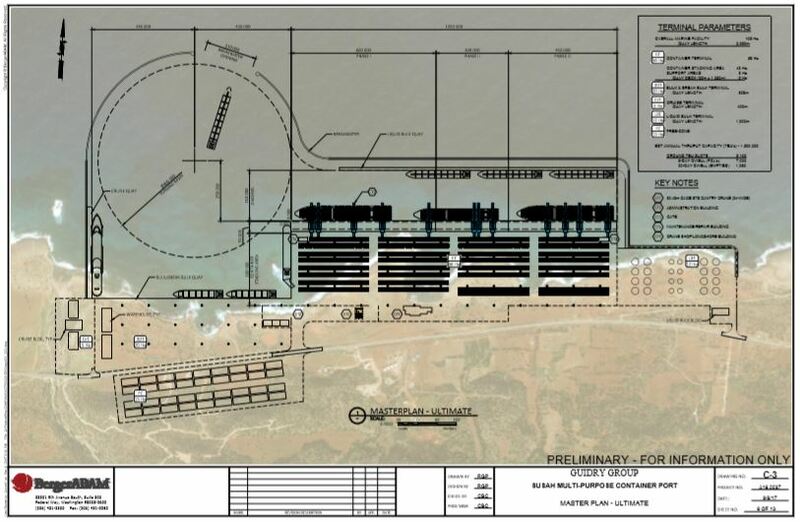 Thirdly, the port will be designed to have quicker turnaround because as he put it ‘‘ships that are in the port like planes at an airport are not earning money. We are building a port for the future – for super tankers and future tankers which will be piloted by satellites’’, he added. And this is all possible, he explained, because unlike existing ports which will have to modify to future demand, Susah port is being built from scratch, which gives it another advantage on existing ports in Libya and in the Mediterranean. ‘‘We hope to compete with the big shipping and ports of the world’’, he added. Libya has plans to expand many of its other existing ports as well as establishing new ones, including Tripoli, Khoms, Zliten, Misrata, Benghazi and Elmreisa Freeport. With regards to too many Libyan ports competing for the same shipping traffic into Libya, Guidry does not see it that way. ‘‘No. Susah will be a deep-sea port. The location has about 18 m depth by nature, which is a competitive advantage. The other ports don’t have the depth that Susah has. They will need to do a lot of dredging to reach the natural depths of Susah. Libya needs a deep-sea port. Susah has deep water, so unlike the competition, we don’t need to spend a lot of money on dredging – which is the most costly item usually in developing a port’’. ‘‘So, we are not competing directly for the same market. I am happy to cooperate. I think we can work together. I am happy to talk to all of them. We complement each other. Other ports, such as Elmreisa port, are transit ports. Susah will be an inter-modal port. We can help each other.’’, Guidry explained. Guidry revealed that they hope to break ground in Q1 of 2018 and that phase one of the port will cost about US$ 200 million for three operating berths and one million TEU’s. Beyond that he hoped the project would attract further investors for the two other phases which would need a total investment of about US$ 1.4 bn. Concluding the interview, Guidry said that he wanted to ‘‘help Libya. I do not care about politics and I need the Libyan people to help me make this project a success. This project is about business not politics. The easier it is for us to start the more attractive Libya will become for other businesses and investors. They are all waiting to see if our model can be replicated’’, he explained.